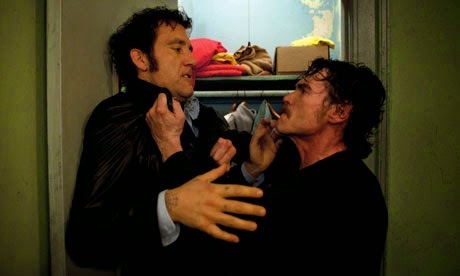 1970s Brooklyn sets the stage for the action-packed thriller, Blood Ties, headlined by Clive Owen (Children Of Men) and Billy Crudup (Almost Famous), on Blu-ray Disc (plus Digital HD UltraViolet), DVD (plus Digital UltraViolet) and Digital HD from Lionsgate Home Entertainment. Blood Ties is directed by Guillaume Canet (Little White Lies) from a screenplay by Guillaume Canet & James Gray (We Own the Night), and based on the movie Les Liens du Sang by Jacques Maillot. The screenplay by Jacques Maillot (Froid comme l’été), Pierre Chosson (Froid comme l’été) and Eric Veniard (Nos vies heureuses) is based on the novel Deux Freres, Un Flic, Un Truand written by Michel and Bruno Papet. 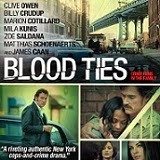 Blood Ties begins when Chris (Owen) is released from prison. Reluctantly waiting for him on the outside is his younger brother Frank (Crudup), a cop with an aspiring future. After trying to stay on the straight path without any success, Chris inevitably descends back into a life of crime and puts Frank in a tough predicament. Does he cover for his brother and salvage the only family he has? Or does he do the right thing and risk destroying everything he loves? I let this review sit for a few days before attempting to write it. It’s not that I didn’t like the film, it’s just that in my opinion, there’s so much that happened, I wanted to let it all sink in and see if any of it made more sense, after a bit of time. The story was interesting; the relationships between characters and the actors who portrayed them were believable. However, there is a lot going on, and for me, the story moved a little faster than I hoped it would have. With a run time of more than two hours, there were a lot of opportunities to make additional edits and shorten the film. Simply said… it was too long. Brothers Chris and Franks couldn’t be more different. Chris, a career criminal who was just released from prison, is picked up by his brother Frank, an NYPD detective and his sister and taken to see their father, who is in the hospital. Frank allows Chris to move into his apartment, even though he has his own issues. Frank tries to stay clean and, as a favor to his brother, is hired by the owner of a used car lot. Frank tries to adjust to life on the outside; visiting the two children he has with his prostitute ex-wife, Monica. One day, while at work, he sees the receptionist, Natalie, crying at her desk. She tells him the day’s cash deposit is short and that the missing funds will come out of her paycheck. Chris gives her the cash from his pocket and later that evening, Natalie invites him to dinner with her and her friends. Frank, on the other hand, is dating the wife of one of the drug dealers he busted. Turns out they already knew each other and had a previous relationship. 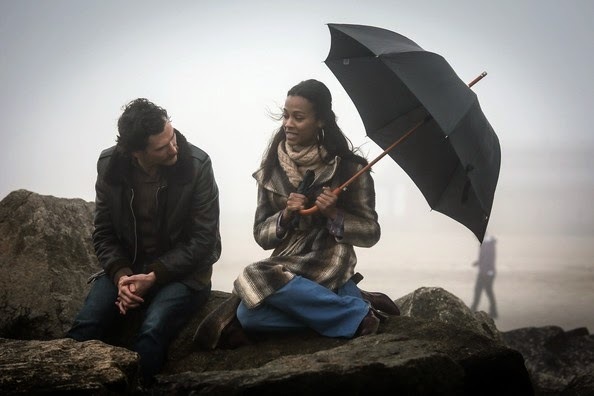 Frank and Vanessa’s relationship is complicated because in addition to her being married, she has a child with the dealer. When Vanessa visits her husband in jail, she tells him she wants a divorce and he threatens her. When Chris walks out on his job, he descends back into a life of crime, doing small jobs, here and there until it escalates to murder. With his new found “blood money,” he sets up Monica in a house as a Madame, takes Natalie out on the town and proposes to her, and hides his new life of crime from his family. Chris’ secret doesn’t last long, though. Frank realizes Chris is part of an armored car robbery; and after Chris is taken in and questioned, and when Frank’s job is put in jeopardy, Frank disowns his brother. Only after it’s too late does Frank realize that the most important ties are the ties you have to your family. 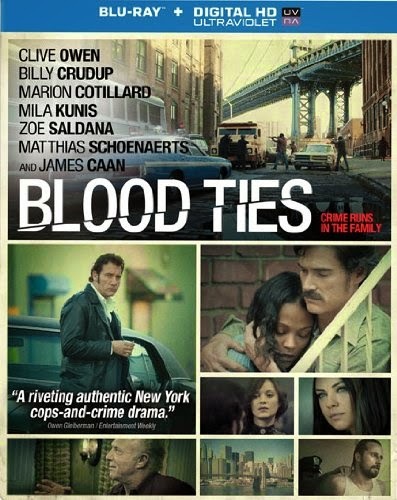 Blood Ties is a film I could take or leave. I am a fan of Clive Own and normally really enjoy his films, so it was a little disappointing that I found myself bored by the end of the film. Jason Patric does 70s well with his pornstache and hairstyle. Mila Kunis is good in her role as well. She plays innocent well and I liked how she interacted with all the other characters. The sets and props seemed authentic and I believed I was watching a film based in New York City in the 1970s. Blood Ties is presented in 1080p widescreen and it was good. Nothing spectacular, but it had the grittiness and feel of a 1970s film. The muted colors were appropriate for the film and everything looked natural. The sets were good and for an untrained eye, like mine, the film looked like it came right out of the 70s. The DTS-HD Master Audio 5.1 sound mix for Blood Ties was also good. I did have to adjust the volume a few times in order to hear some of the dialogue or because the sound all of a sudden became too loud. When the volume was regulated, dialogue was clearly heard and flowed smoothly. Audio is also available in Spanish 5.1 and have the option of English, English SDH, Spanish subtitles. I really enjoyed the one feature included. I don’t consider previews and a section for bookmarks special features, and I am still not entirely sure what the point of the bookmarks is because when a film has scene selection, doesn’t it serve the same purpose? Behind the scenes – A look at filming the movie in 1970s New York with cast and crew interviews. It was interesting to learn the film was financed mostly by European investors and with that financing came particular actor stipulations. I was surprised at how much I enjoyed listening to the director, who clearly felt more comfortable explaining everything in his native French, but when directing, spoke in English. Also from Lionsgate – All the previews from the beginning of the disc again. Bookmarks – The option to bookmark parts of the film to come back to later. 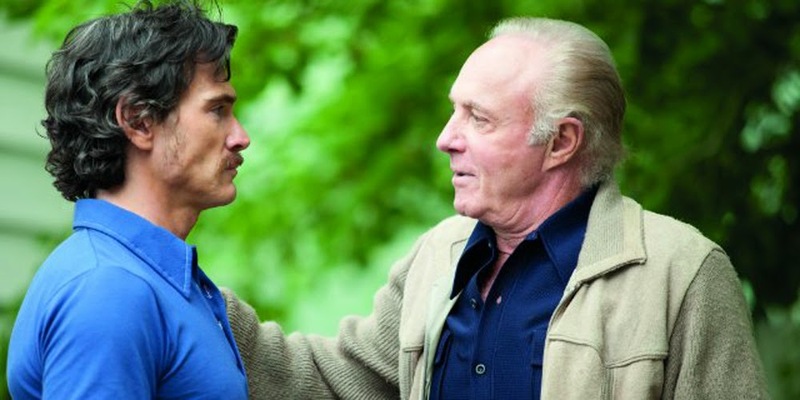 Blood Ties is another film pitting brother against brother. The story itself was good and the strained relationships between the characters were believable, but there was just too much going on. It’s a film that I was sure I’d seen before, but after watching it, I realized that déjà vu feeling was because it’s so similar to other movies. I got a little bored and noticed my mind wandered a few times while watching it. It’s not a bad movie, it just wasn't for me.